One of our most loved assets is the beautiful palm tree in front of Camps Bay Terrace in Victoria Road. Due to its position it is very difficult to remove old fronds and parasitic plants on its trunk and one needs to find a specialist to do this. This winter, when we had quite strong storms, lots of debris from this tree fell onto the electric fence, the stairs and even the pavement. The fronds are large and heavy, and if they would hit a pedestrian it could actually be quite harmful. So I set out to find the right team, and after two months of searching I finally found it! To watch them was quite amazing, but they were very organized, security conscious and incredibly skilled. The only issue was with the pigeons who are always nesting in this tree and who were very upset and noisy during this operation! Now peace has been restored and look at the results! The counterweight to the "climber"
It's very knowledgeable information and I have learnt lot of things from this article. Mark Hutchinson can have lot of experience haircut for the palm. 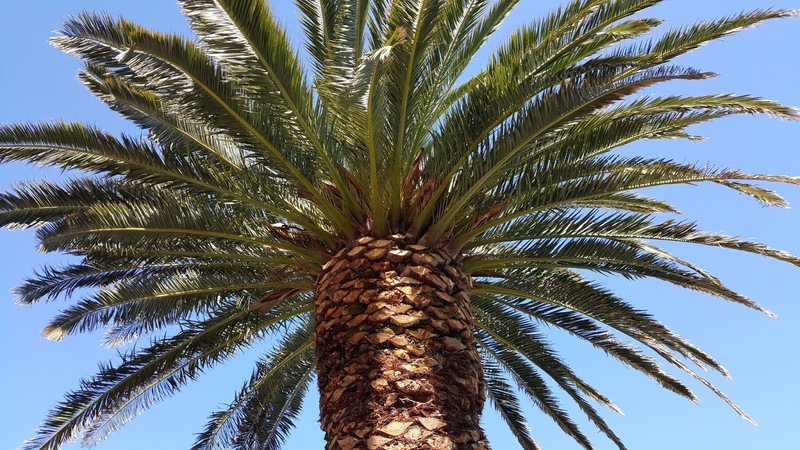 Palm tree removal is something that requirements legitimate arranging and execution to guarantee that everything goes easily. Palm tree removal is definitely not a little errand and ought not be attempted by unpracticed individuals by any means. It's an insightful advance to contract proficient palm tree evacuation administrations. I find a very good website for the Palm Tree Removal Orange CA, If you want you can visit this site. you can pick out from a extensive style of patterns, from brief to long wigs, small to massive wigs, or even attempt out the ridiculous ones, in case you are truly into it. Red wigs usually ensure you operate the right every dayryeveryday wig and from diagnosed dealers. I can certainly appreciate the time, effort and agility required to have such a majestic tree pruned. Having personally working in this field albeit in the far north I experience simailr challenges plus the winter weather. Thanks for the post.